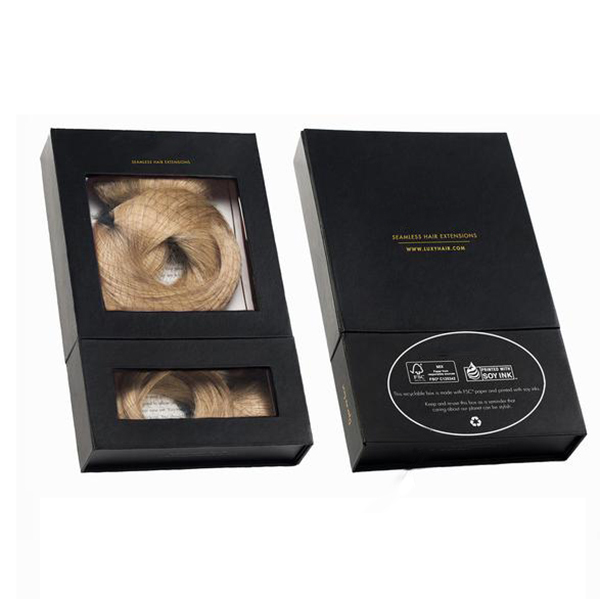 Product categories of Hair Extension Packaging Box, we are specialized manufacturers from China, Hair Extension Packaging Box, Hair Extension Packaging suppliers/factory, wholesale high-quality products of Hair Packaging Boxes R & D and manufacturing, we have the perfect after-sales service and technical support. Look forward to your cooperation! Custom hair extension boxes with a die cut window are a popular way to optimize and commercialize hair extensions. That is because it helps give a peek into the extension style available in the packaging. At Custom Boxes hub we provide a broad range of customization options from which the clients can choose as per their desires and needs, we can provide it with superior quality and favorable price according to your requirement, Welcome to inquire if you are interested!